If you have the means to buy a house, that’s great, as long as you’re sure you’re doing so in a place you want to settle down. But if you count yourself among the increasingly “nomadic” millennial set, you may be more inclined to keep your options open in case you feel like going off the grid for a bit, relocating for a better job, or, uh, earning a cool $10,000. 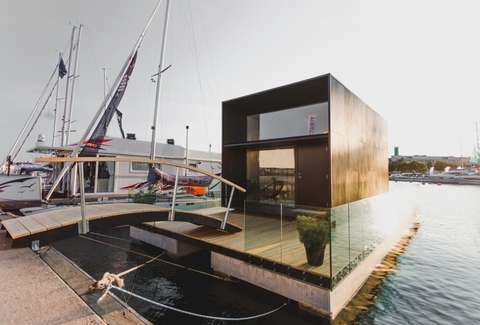 Luckily, now you can have the best of both words, thanks to this company’s new luxurious floating tiny home, which costs just $55,000 and can be set up in a day. 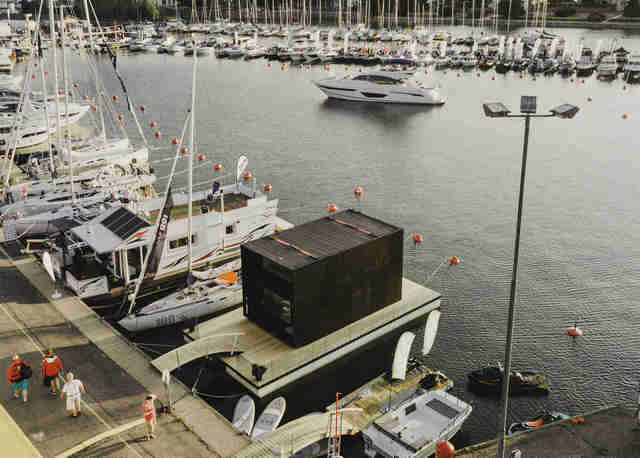 These new, easily transportable digs come from the folks at the Estonian design firm Koda, who’ve engineered a remarkably affordable prefabricated tiny house model that floats on pontoons, installs in a day, and is built to last for 50 years. Basically, it could be the house to invest in if you’re not ready to totally settle down, love the water, and are charmed by modest living quarters. The clean and minimalist 278-square-foot setup, which has been dubbed the Koda Light Float, is fashioned from lightweight materials like plywood and timber, and boasts pretty much everything you’d need inside: a bedroom, bathroom, living room, and kitchen. And while it’s designed to be easily accessed via a small bridge from a dock or shore, you could also easily set it up without the pontoons and move to dry land when you’d prefer an occasional land-locked situation. 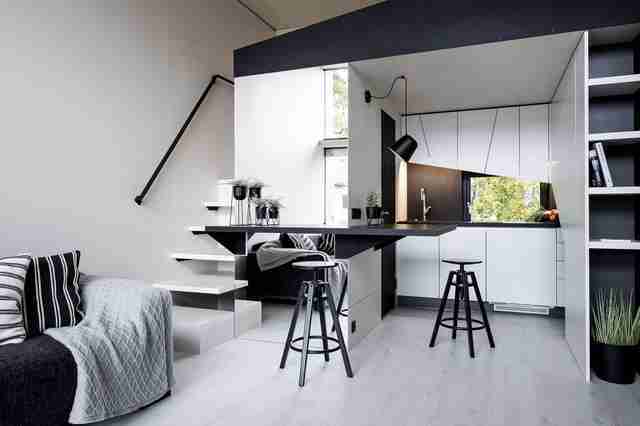 A total of 278 square feet definitely isn’t a lot of living space, but it’s not as though you’d be roughing it, either. The Light Float is supposed to feel spacious thanks to high ceilings and enormous windows that “[give] an atmosphere of a Mediterranean villa,” according to Koda’s description of the new model. Plus, the whole structure is surrounded by a walled-in terrace, which could make for a hangout space when they weather’s good. Price will vary depending on the specifications and materials you choose for yours, but it’s entirely possible to score one for around $55,000, according to Business Insider. Adding to the convenience of having your own portable crash pad to call home, you can also essentially have it installed in a day, granted you have the right connections set up ahead of time.